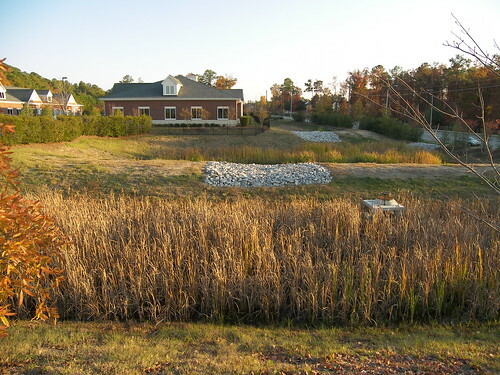 Most newer subdivisions in Cary have some sort of stormwater retention and management structure to protect surface water quality. These structures can be puzzling to people who come from areas where such runoff management practices are less common. 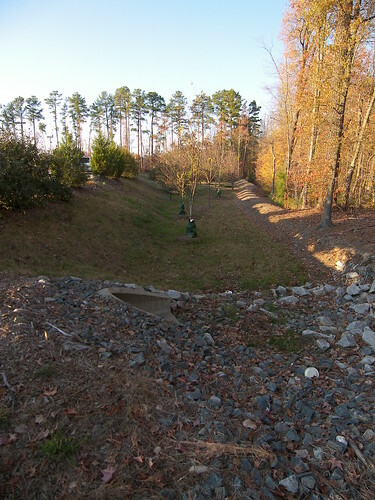 Older towns often did not have tight stormwater and erosion control regulations that we see in the Cary NC area. 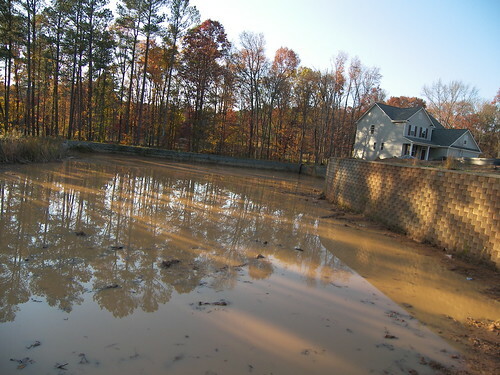 The ponds can be quite unsightly in a newly developing subdivision after a hard rain. But, if the silt is in the pond, and not in the stream the pond empties into, the retention pond is doing at least part of its job. 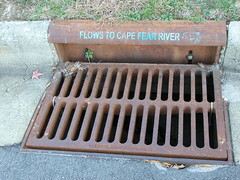 The design goal is to control the amount and velocity of water running off developed parcels to neighboring land, and to reduce significantly the amount of pollutants running into streams and rivers. Pollutants may include runoff from lawn fertilizers, oil or gas from vehicles, asphalt traces in water running from paved surfaces, and soaps and cleaners from working around the house. 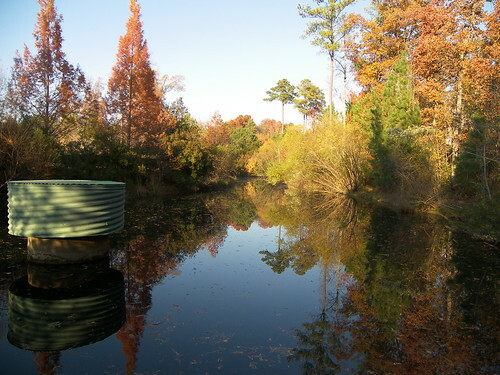 A retention pond will hold water to allow a controlled release, and while holding water, some of the pollutants will precipitate out into the bottom of the pond. 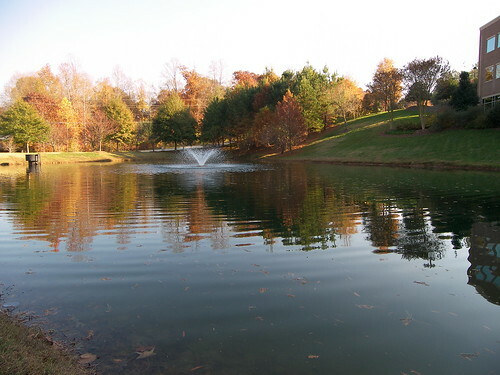 Some ponds always have some water in them, and many require fountains to keep the water aerated to help control ugly algae growth. 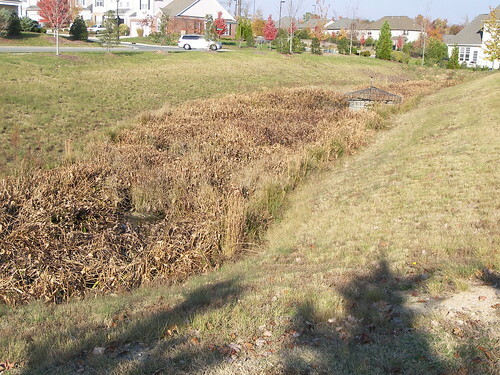 Sometimes the stormwater retention system is able to incorporate an existing local pond or retain water levels that allow it to become a very attractive water feature in the development. 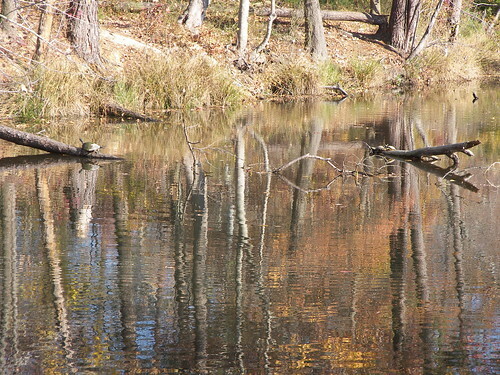 A pond that has adequate structure to contain added stormwater often already is teaming with wildlife. See the turtles in a photo above. That pond also had a resident great blue heron a couple of years ago. And some retention ponds are designed to be centerpieces in the community. These structures can be quite large, and very deep when filled with a significant storm’s downpour. I like to see ponds with fences around them. 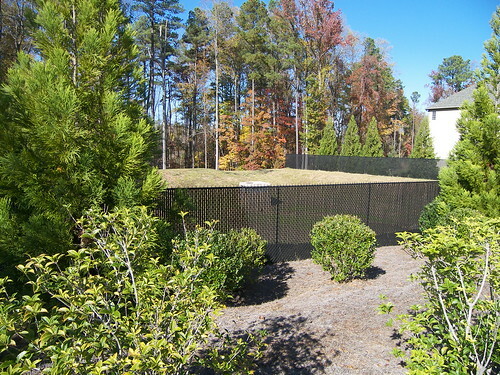 Sometimes a hedge will be substituted for a fence, and a dense holly hedge can often provide a suitable barrier. 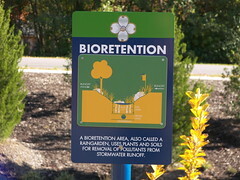 A newer form of stormwater control is the bio-retention basin. Rather than just a pond to slow release of water, the bioretention basin will let water percolate through soil in the impoundment. Water levels are low or non-existent. Plants, trees, shrubs and grasses that tolerate “wet feet” are installed to help filter out the pollutants. These stormwater management installations tend to be more attractive, less hazardous to wandering kids, and less conducive to mosquito propagation. 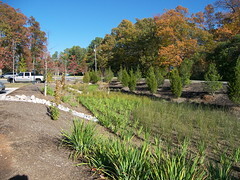 This is a 350 foot long bio-retention installation serving a church in Cary. And another system using reeds or bulrushes to help filter pollutants prior to release. Next PostNext Termite Time in Cary, North Carolina? I love all the scenic photos you posted – sure looks look a wonderful place to live! 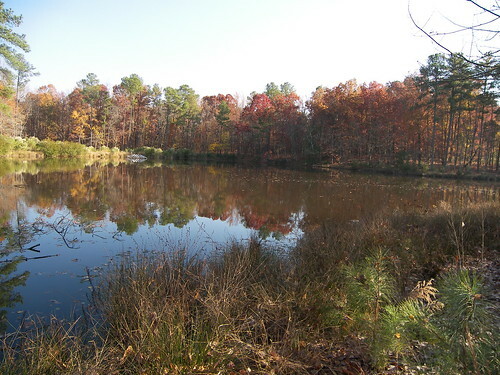 You have done a wonderful job showing and explaining the benefits of these ponds. I am sure it will make people living near them understand and appreciate what a good thing they are. Thank you for educating me today!